One question commonly asked by researchers and technology transfer/commercialization officers in academic institutions is: What resources can we leverage to support our grant applications, help evaluate inventions and find research funding? 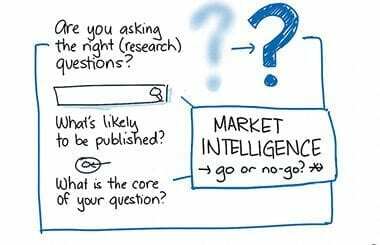 MaRS Market Intelligence can help answer this question! When it comes to the technology transfer space, MaRS Market Intelligence not only serves MaRS Innovation member institutions, it also provides market research services for all academic technology transfer offices across Ontario. The MaRS Market Intelligence team has access to 20 proprietary databases that cover a number of industry sectors, including information technology, communications and entertainment, cleantech (including physical sciences and advanced materials) and life sciences and healthcare. A full listing of the databases and services that are accessible through MaRS Market Intelligence can be found here. The information can be used to evaluate inventions, identify potential market opportunities, find competitors and partners, and help build business plans. In December, MaRS Market Intelligence released new commercialization content on the MaRS Startup Library. The newly added content is another effort that MaRS Market Intelligence has made to better serve technology transfer communities in Ontario. The new content aims to give commercialization officers a more complete picture on the existing commercialization programs and funding available nationwide and also equips them with some useful resources in the technology transfer space. The new content is divided into two categories. Commercialization Overview: This category provides reports and statistics specifically related to technology transfer, licensing and research performance. The overview also covers general resources for patent searches and academic projects searches etc. Commercialization Programs and Funding: As you can tell from its name, this category specifically focuses on existing commercialization programs and funding in Canada, such as the Centres of Excellence for Commercialization and Research Program. We also released new content on research and development (R&D) and crowdsourcing. The R&D section is mainly focused on resources and assets that are available to Ontario entrepreneurs to support their R&D activities. The crowdsourcing section provides information that can help entrepreneurs make informed decisions about choosing the best crowdsourcing options. I invite you to check out the new content. 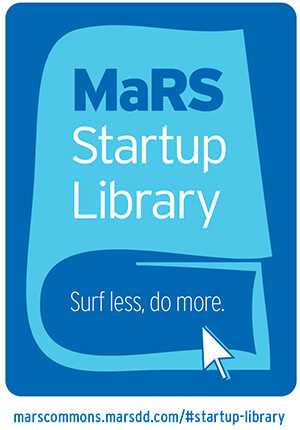 If you have any questions or suggestions, please email us at startuplibrary@marsdd.com.